ESPN.com via John Jay school officials is reporting that the referee in question is seriously considering pressing charges against the two players who viciously targeted him because of a bad call. The referee was “very upset” and “wanting to press charges,” Austin Football Officials Association secretary Wayne Elliott said. 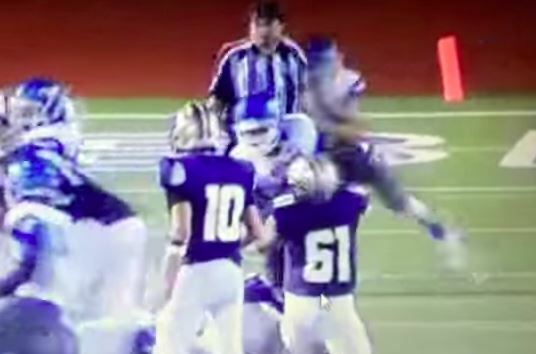 The two players on the John Jay High School football team came under scrutiny after targeting the referee during a game last weekend. The players were ejected from the game and later suspended from the team indefinitely as officials investigate the matter.